We produce experiences which are attractive, user-friendly, and generate results for your business. We’re not your standard website development company. Sure, we are excellent on company branding and web development, but we are truly focused on making things work for your customers and your business. We begin each web development project by gaining a solid understanding of who you are, what you do and why you do it. This can help us produce strategic website design solutions that convey the best messages and convey your specific brand identity. We work together with our customers. Great design and style does not come in a flash of inspiration. It is a collective process of discovery which will take patience, experience, and communicate. We include our clients all the way, integrating suggestions each and every stage until the design is finished. If you’re like most people, after you’ve made up your mind to do a website, you want it NOW! Because we are an all in one web design company, we can speed up the process. We’ll get you online quickly, usually in a matter of weeks, sometimes days, depending on the complexity of your website. We determine the scope of the web development project, create a budget and timeline, and once they’re approved, we stick to them. Just to ensure, we do weekly status assessments on progress and due dates to help keep everybody you included on the same track. 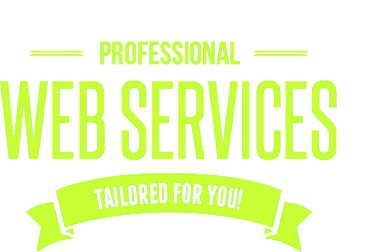 We offer web design, web development, corporate branding, online marketing, web hosting and web application development at fair market pricing with a quicker turnaround than most other web design companies. It is a function of our in-house skill set and the ability to leverage technology to meet a wide array of demands; we’re great at what we do, and our effectiveness lets us price our work competitively. While we have that degree of expertise, we continue to keep our teams compact, agile and devoted to you. Your project has a lead designer who gets support from a project manager, a junior web designer, a usability expert and one or more developers. From fundamentals to junior members of our team, all of us work together on web development tasks. You will notice the same faces from your first howdy to the finishing of the project. We don’t have a salesforce, so we only take projects that suit our primary skills. The most beautiful website in the world is useless if no one visits it. Very few website designers concern themselves with search engines. That’s a mistake. The easiest, most cost-effective means of generating traffic is to make your site appealing to search engines. We use sophisticated online marketing techniques and proven SEO strategies to ensure you rank high on the major search engines for your keywords. We have worked both directly and indirectly with almost every type of major industry in the world, from small e-commerce websites to huge multinational corporations as well as healthcare providers, realtors, lawyers, local governments, county organizations and other nonprofit agencies and organizations. About Noble By Design’s has one of the most well-rounded web development client lists on the net! If you’re prepared to proceed and chart a new growth path for company remarkable online representation, contact us today at 530-494-9829, for a consultation or to learn more About Noble By Design click here for a Free Quote.